The Fitness Mad adjustable ultra speed cable rope is a great gym accessory which will help you improve your speed, agility and coordination. 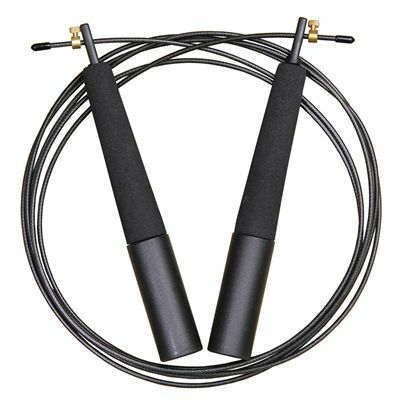 The tangle-proof cable will spin very quickly for maximum effect and will let you perform a range of skipping exercises and drills. The coated steel cable is adjustable and has foam handles to cushion your hands. for submitting product review about Fitness Mad Adjustable Ultra Speed Cable Rope.